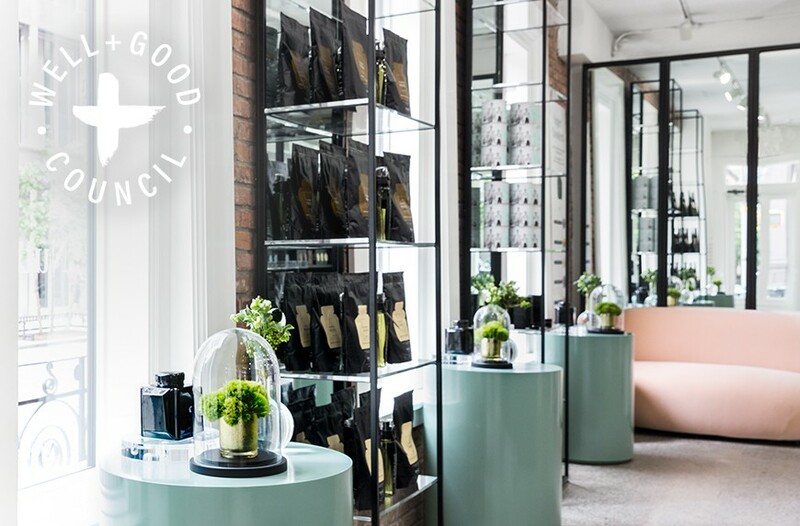 Today is a big day for Elle Macpherson, as she and WelleCo co-founder Andrea Horwood open the doors to the Australian wellness brand’s first U.S. store in New York City. Formulated by nutritional doctors using premium plant-based nutrients, WelleCo’s elixirs and proteins have developed a loyal following—and simultaneously, the company has proven that if you help people feel their best, the business can’t help but grow. Here, the Well+Good Council member shares five lessons that can help any entrepreneur thrive…while still prioritizing your own well-being. One of our goals as a company is to highlight something that I recognized, which was that there was a profound correlation between wellness and beauty. As a company, we want to bridge the gap and combine wellness and beauty in the market. That’s the basis of what we do, and that’s what has helped the brand spearhead this ingestible health and plant-based movement. Our customers are our biggest advocates, so I want to inspire and educate them at the store. It’s really a hub where people can come together to learn about wellness. You can come in for a free smoothie and recipes, for instance, and you’ll also be able to attend wellness talks or have a one-on-one consultation. It’s all because we want to create true relationships with them. We’ll record the symptoms that customers feel over time, so our store helpers can help them achieve their wellness goals. Delivering that level of personal service is important. It’s very important to write a list of what’s important to you—and do it. For me, I schedule everything in a diary. I schedule my personal needs and desires with as much grace and respect as I do my business meetings. When you put “take the dog for a walk” (or yoga or meditation) into your diary, it’s very easy to make sure you don’t schedule anything on the same day at the same time. When you make time, you have time! My wellness practice is always evolving because I’m getting new information, learning more about myself, and learning more about protocols and ways of looking after the body. I’m also somebody who’s quite courageous, so I’ll give things a go. I check it out and see if it works for me or not. That’s a great lesson: Do your research and see what works for you, because what works for me may not work for you. Co-founders @welleco – amazing week together as we open our flagship store tomorrow NYC. @andreahorwoodb . Life is a journey, with ups and downs, ins and outs, and unexpected twists and turns. If you can see it that way, then you can avoid isolating each instance as a success or failure. Because often, something doesn’t appear to work out at first. But further down the road, you realize that actually, it was a step towards a brand new opportunity that you didn’t even know could exist. My experience is that there’s no right or wrong way to do business. There are no right or wrong decisions. The most important thing is the willingness to learn along the way.